In my earlier post I've written about stopping of Facebook annoying messages. I was received many requests on the deletion process of messages in the Facebook. 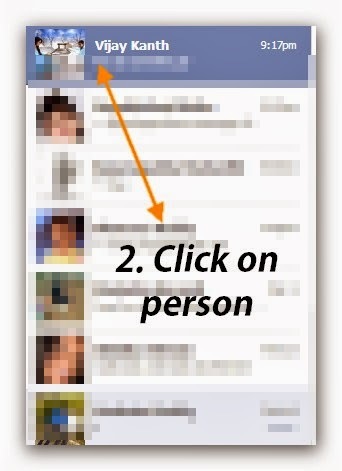 The answer is quite simple but many Facebook users are getting struggle with this. So I decided to write a small post with screen shots. The procedure is quite simple and can finish in three simple steps. 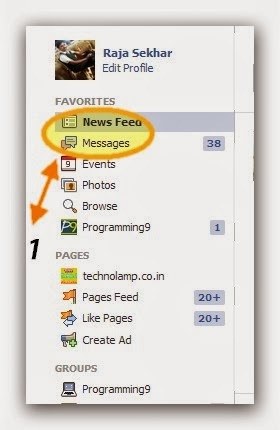 Go to messages on the left side to your Facebook wall. This is simply under your profile image at the top left corner of the page. You can find that in below image. You can find all the user names on the left side of the screen. 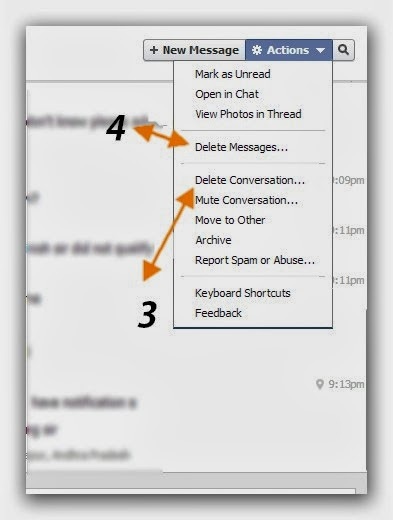 Select the person from the list to delete your conversation or specific messages in the conversation. Now we are almost over. On the top right corner of the screen, you will see actions button. Simply click on that button and click on "Delete conversation" option. See mark 3 in below image. That's it. You deleted your entire conversation with that person. You can also delete specific messages by selecting another option "Delete Messages..." you can see mark 4 in the above screen shot.